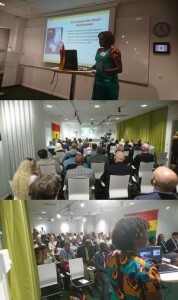 Ghana Business Day a great success! We here at B-Open Nordic was assigned to help the Embassy of Ghana arrange a special trade and investment promotion event called Ghana Business Day. It took place on May 10th and around 70 people from Swedish business attended. We had great feedback from attendee who made business connections same day and we also got interest for a delegation trip to Ghana after summer, especially from energy and sustainable green and clean technologies. We mainly work with international business development, helping companies and organizations (or Embassy) build better brand and business in new markets. We can promote, identify and match companies to markets and business opportunities, for example in your Country. We can help you arrange events, seminars and conferences to promote investments and business opportunities. We can also follow up this and help companies from Scandinavia match with right partner in your Country or help your Companies find suitable customers or partners in Sweden and Scandinavia. We can see Africa is coming into focus in terms of new business and economic growth from the Nordic perspective. The World Economic Forum met in Kigali (Rwanda) from our own travels we can see that the African continent is rich in both knowledge and commodities but have not quite found the model everywhere to take advantage of this fact. East and West Africa produces a lot of coffee, fruit and vegetable but don’t have any real big brands or companies that sell to Europe, USA and Asia. Ivory Coast grow cocoa but then imported chocolate. Nigeria and Ghana have oil but have to import gasoline. For agribusiness we need better coordination and market access, more processing and packaging industries, which often go hand in hand. It can also go hand in hand with tourism promotion. We see alot of business and investment opportunities for Swedish and Scandinavian companies in both West and East Africa. If you have special interest in this region, contact us today and we can help you take part in business growth in Africa.